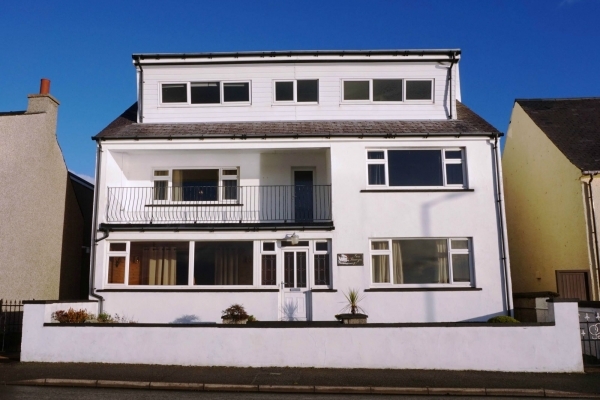 An excellent opportunity has arisen to purchase this exceptional spacious, modern four bedroomed family home in the village of Borrisdale on the South Coast of the Isle of Harris, enjoying spectacular, panoramic views overlooking the Sound of Harris with its array of wildlife, birds and sea life. The property is presented to the market in immaculate decorative order with high quality finishing’s and features throughout, offering bright and spacious family accommodation comprising kitchen, utility, dining room and lounge combined, four bedrooms, two with en-suite facilities and family bathroom and was previously run as a Bed & Breakfast. The property benefits from timber double glazing throughout and a newly fitted oil central heating system. The property is surrounded by spacious, well maintained garden ground with mature trees shrubs and an attractive water feature. There is a lock-block driveway and parking area to the front, drying area and seating to the rear. There is a large under-house double garage, could be used as a workshop, with mains electric. Borrisdale is approximately 11 miles from Tarbert, the main village on Harris where local amenities include primary and secondary school, sports facilities, health care, mini-market, restaurant/bar, hairdresser and ferry port. The town of Stornoway on Lewis is approximately 56 miles from Strond. In Leverburgh there is a well-Stocked co-op shop, hairdresser, restaurant, mobile post office, primary school, community hall and Churches. Sale of the Croft Tenancy is available under separate negotiation and is subject to Crofting Commission approval.